On the 8th of June Perranporth Beach will be transformed once more as the Tunes in the Dunes Festival returns for its fourth year running. 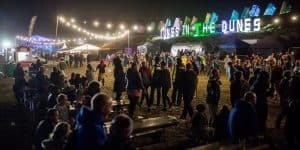 Spread over the course of 3 nights to the 10th of June, the UK’s largest festival on a beach is set to attract numerous local and international acts, making it an experience that you don’t want to miss – and probably will never forget. The festival itself takes place on the breathtaking sands of Perranporth beach’s golden dunes, surrounded by its scenic cliffs and ocean swells. 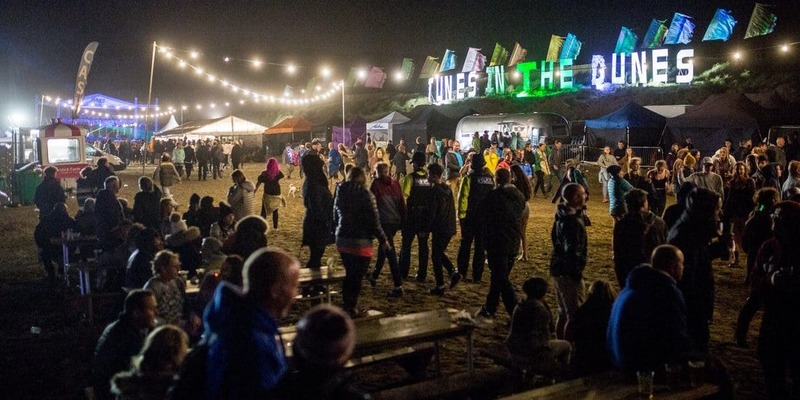 Inspired by the live music acts that have been a hit at Perranporth beach’s very own bar, The Watering Hole, Tunes in the Dunes has consistently upped the ante year on year attracting more and more amazing acts for festivalgoers to enjoy. Already 2018 looks set to continue to build on that, and will be a spectacle of epic proportions. Every year Tunes in the Dunes seems to add more stages, and it is doing that again in 2018. This year there’ll be four stages of performances spread from The Watering Hole to the end of the beach – each with its own unique atmosphere and amazing acts. The massive Main Stage is bound to get everyone excited, while the St. Piran’s Stage places favorite local Cornish acts alongside other huge acts. Of course for those who are set to party the night away there is the After Party Stage where you can dance till you drop. In the lead-up to the festival more and more acts are going to be announced, but already the lineup of talent is really impressive. On Friday you’ll get to see Protoje, The Skints, Echo Town, while on Saturday UB40 ft. Ali, Astro, & Micket, and The Wurzels are set to perform. Make no mistake Sunday will draw things to a close with a bang, with acts like Jake Bugg, Pixie Lott, Company B, Gypsy Queens, Gabrielle Aplin, and more. Weekend tickets will give you full access to the festival for all three nights – but do not include camping or after parties. Day tickets can be bought for specific days giving you access for that one day only – but do not include camping or after parties. Camping tickets let you camp for the whole weekend and come either in a ‘Campervan’ option for people who want to sleep in their vehicles, or ‘Camping’ option for those setting up tents. VIP tickets give you access to the special VIP area and bar, but need to be purchased in addition to the Weekend ticket to gain access to the festival. Afterparty tickets give you access to the afterparty – and are extremely limited. Parking tickets let you park at the specific parking locations for the day they are bought. Because of the popularity of Tunes in the Dunes, tickets sell out fast – particularly those that are limited such as the camping tickets. 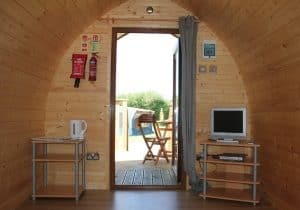 The good news is that there are other accommodation options nearby that you could book, including our holiday park, Perran Springs. 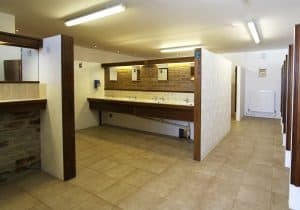 We are only a short distance from Perranporth beach (5 minute drive), and provide high quality shower facilities and lots of camping space. 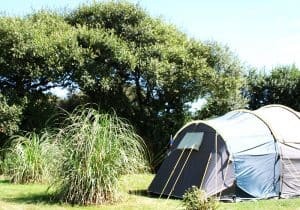 So if you are looking to visit the festival, but also wish to have a base to relax and a great nights sleep, please take a look at our camping pitches. 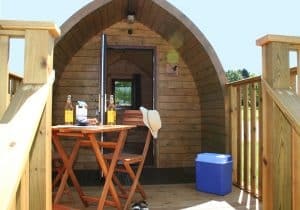 Alternatively, we also have camping pods, which are ideal for young couples. Please note, we only accept couples and families.